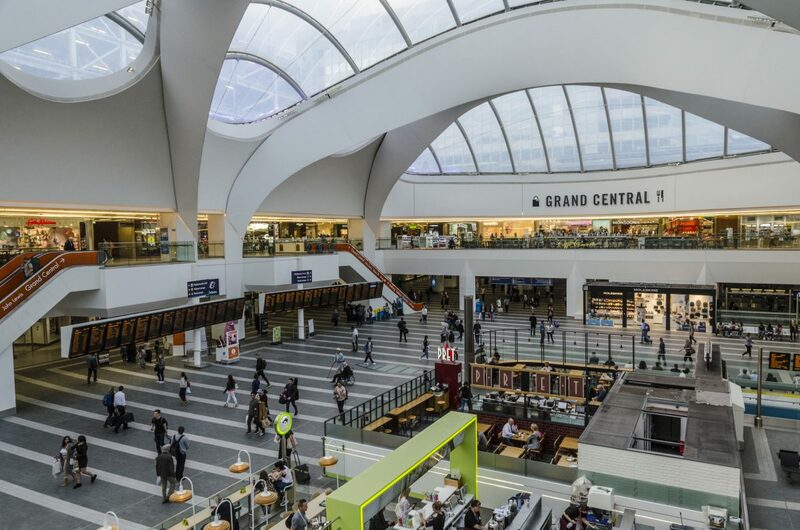 Recently, Grand Central, the revamped New Street Station in Birmingham opened, and it’s what everyone is raving on about. Grand Central is a vision of reflective stainless steel encasing the original 1960’s building, integrating a vast atrium in the middle. The steel incorporation was designed to reflect the trains pulling in and out of the station along with the surrounding cityscape while the atrium is covered in a roof made of clear ethylene tetrafluoroethylene plastic. The new roof is perched on top of columns from the original station building to encase a public concourse and two floors of shopping, as well as an AZPML-designed John Lewis department store with a glazed facade. However, the reopening of the station last week, Alejandro Zaera-Polo expressed that the result wasn’t as intended. There were open concerns regarding the detailing of girders and a walkway which was said to conflict with the original and recent structures. Grand Central is just a small part of Birmingham’s Big City Plan from the late Clive Dutton. As regeneration director for the city, Clive also overlooked the development of Mecanoo’s Library of Birmingham. The public library is home to a rooftop garden, overlooking parts of the city, a sunken amphitheatre as well as its infamous large, interlocking metal rings. What are your thoughts on the architectural redevelopment of New Street Station, Grand Central? Next Next post: Should Post-War Architecture be Demolished?